The founder Women Aid Collective, Prof Joy Ezeilo has advised youths to embrace entrepreneurship in order to be self-reliant and to deal with the challenge of unemployment. Prof Ezeilo who spoke on the topic: Youth, Self Reliance and Livelihood sustainability said that the issue of unemployment has increased the rate of poverty, inequality, social exclusion and intimidation and has led young people into drug trafficking, migration, migrant smuggling and human trafficking”. According to her, It is no longer news that the country has a huge population of over 70 percent youths with as much as over 40 percent graduates that are unemployed. She expressed displeasure that the government of today has failed to include the youth in governance even when they have the right to participate in the government of their country. “To survive in this country where there is no job therefore requires a lot of thinking, creativity, determination and handwork. “ you must spend your time wisely as any time wasted on fruitless venture cannot be retrieved” she said adding that the youths must cultivate the right capacity to be employers of labour. Also speaking during the conference, the Director, youth Friendly Centre, Prof. Ijeoma Okoronkwo said that the youths constitute the most important human resource that contribute to the overall development of any nation. Okoronkwo said that economies around the world today are private driven adding the widespread unemployment in the country has been blamed on youths over dependence on white collar jobs. “The youths must begin to learn to acquire competence in life if they must be self reliant. “Emphasis should be placed on producing graduates who are creative and innovative to avoid the challenges of terrorism drug addiction and kidnap which have been blamed on youths”. Speaking further she said that entrepreneurship is an alternative way of distracting the youths from getting immersed in all sorts of social vices that hold sway in the society”. On his part, a lecturer at the University of Nigeria, Dr. Ezeanya, said that there is need to correct the wrong impressions about native customs and traditions as well as all the elements of humanities . 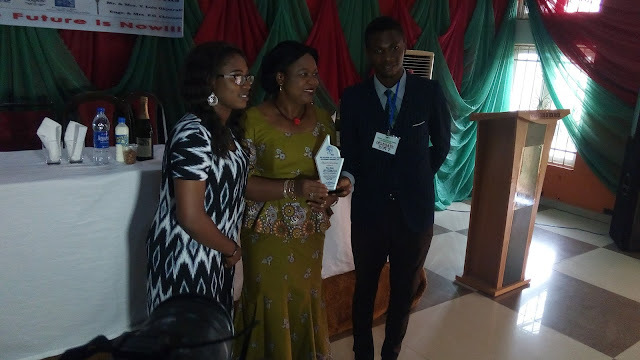 Dr. Ezeanya who spoke on the topic “freeing the human in the youth” advised the youths not to be discouraged in their pursuit of greatness as according to him “success lies greatly in the unflinching determination to succeed. “The youth must strive to free their heads and their hearts from stereotypes of the imperial world of globalization which merely favor western culture and lifestyle and try to be themselves”. They must always engage their minds with good reasoning and the hands with great activities in the right direction” he said. The Great Minds is a youth friendly initiative that is intended to build capacity in the youth and to encourage them to pursue after greatness relentlessly. It is the brainchild of Chimezie Miriam Somto.